We believe it’s imperative that high-achieving, low-income students have financial resources that enable them to develop their academic and artistic interests. Our own Jack Kent Cooke Foundation scholarship programs are obviously one of the most important ways we do that, but we can’t fund every deserving student who applies. So we would like to share with you the latest highly effective, easy-to-use resource students of every stripe will find helpful in their search to fund their college education. 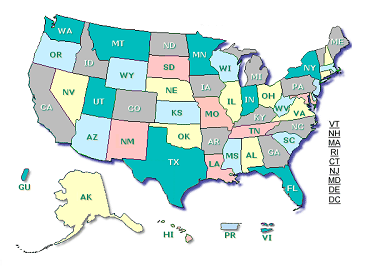 The website for the National Association of Student Financial Aid Administrators (NASFAA) now features an interactive U.S. map that allows students to click state by state to see what financial aid is provided by education agencies and nonprofit organizations in each one. NASFAA also has a separate list of state and regional tuition exchanges that could be useful in combination with the map. We recently wrote about Brain Track, which has a vast database of scholarships and an excellent Transfer Student Guide, including a section listing scholarships specifically for transfer students. Our friends at College Greenlight have a great site for students to discover, research, and pay for the college that best fits their goals. Students can create and share an individual profile, which the organization will use to help compile college and scholarship lists and make suggestions and recommendations just for you. The federal government’s National Center for Education Statistics operates the College Navigator, which has its own interactive mapping feature showing where colleges are located. Finally, we should remind you that our own blog actually is a great resource to follow regularly. Earlier this year, we offered a list of tips on the FAFSA, and we also composed a list of scholarship sites. And mark your calendars: The Foundation’s College Scholarship application will open by September 12, and the Undergraduate Transfer Scholarship application will open by October 6.